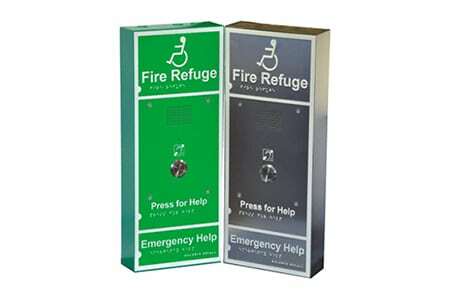 Disabled refuge systems are being installed in many places. Here is a brief explanation of a disabled refuge system. 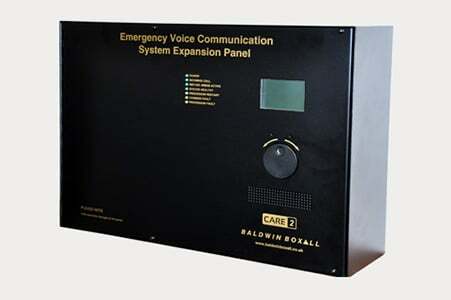 Disabled refuge units (also referred to as ‘remotes’ or ‘outstations’) are one part of an ‘Emergency Voice Communication’ (EVC) system and are typically mounted in ‘disabled refuge areas’. 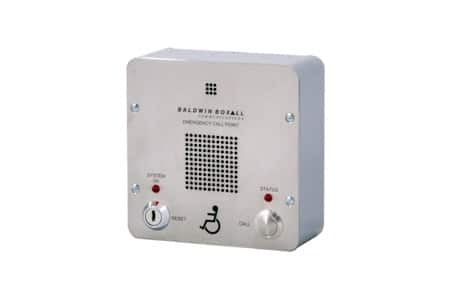 All disabled refuge units are designed to provide two-way HANDS FREE communication between the occupier of a disabled refuge area and the person (or persons) operating the ‘control panel’. They are designed for use in an emergency when the evacuation of a building is required – such as during a fire. Any person requiring assistance for the evacuation will await help in the designated refuge areas. People that might use this facility include the physically impaired, wheelchair users, pregnant ladies, or indeed anyone that requires assistance in exiting a building or area to safety. Using the disabled refuge unit, the person waiting for assistance is able to speak directly with personnel in control of the evacuation. This can provide reassurance, keep the person updated with the situation and confirm that help is on its way. A ‘refuge area’ is a place of relative safety in which a person can wait for help during the evacuation of a building. To ensure that a refuge area is ‘fit for purpose’ there are guidelines regarding the size, placement, type and so on – these are covered in the British Standard BS5839-9:2013. An EVC system is a monitored, battery-backed system which is designed for use during the evacuation of a building in an emergency. 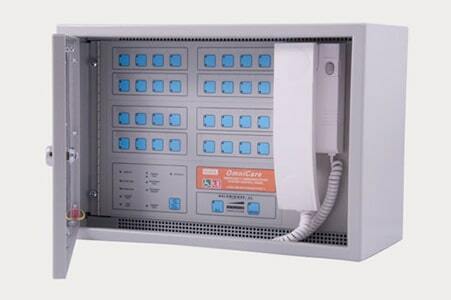 Different types of outstation are fitted to the system which provide different methods of communication with the operator at the control panel. The control panel features a telephone style handset and a method of operation (such as buttons, dial, etc) and is used by building managers or other responsible person, such as a fire officer. Using the control panel, the operator is able to communicate with users of outstations on the system (disabled refuge units, fire telephones, steward telephones and disabled toilet alarms). The level of service we receive from Baldwin Boxall from sales through to service including their technical information is industry leading.